Microsoft Dynamics GP has been around for decades, managing the business management of thousands of organizations across the globe. So why would you want to leave? 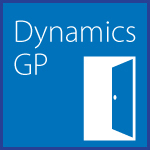 As said earlier, Microsoft Dynamics GP has been around for decades. It actually predates the common definition of the internet. The software itself uses outdated delivery methods to service users, and is not built for business agility or balanced cost structure for your organization. Learn why Organizations are leaving GP. We provide a full list of pros and cons of the different software delivery models available to businesses—On-Premises, Hosted, and Cloud—in our blog. Compare this to a cloud solution such as Intacct. With a 6 to 18 week training and implementation period, a subscription-based pricing method (you know what you’re paying and why you’re paying it), and the ability to add or remove users to meet the needs of your organization; you get simplicity and scalability without the pesky servers (and related server costs). Plus, with a 99.988% 12-Month Average uptime, you don’t lose money that comes with downtime. The cloud makes it easy to connect disparate systems, leverage existing infrastructure, and eliminate information silos. So you can streamline processes by connecting Intacct with Salesforce or other CRM solutions, subscription management applications, and more. In contrast to connecting on-premises applications, cloud integrations are fast, simple, and flexible. Intacct makes your team more effective from Day One. Unlike yesterday’s accounting solutions, it features an easy-to-use interface that even non-financial staff can pick up quickly. You can create customized dashboards and reports on the spot, and easily meet the additional reporting needs of multi-entity organizations. And you can do your job from any browser, any device—with total security. As a provider of best-in-class financial software Intacct, we are pleased to help organizations move from their current system to cloud-based financials. Whether considering an upgrade from lower systems like QuickBooks or an upgrade in speed and usability like a move from Dynamics, contact us to see if Intacct is for you.